Canadian PM rebuffs call to retract earlier condemnation of BDS movement, cites '3-D' test. 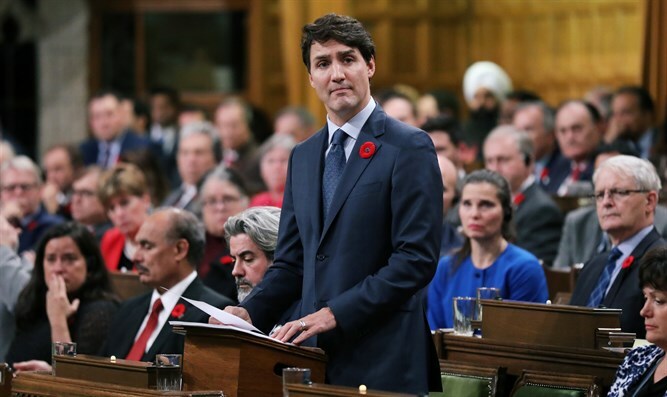 Canadian Prime Minister Justin Trudeau called the Boycott, Divestment, and Sanctions (BDS) movement against Israel "anti-Semitic" during a town hall meeting this week. Trudeau responded to an audience member who asked him to retract his earlier condemnation of BDS. “It’s not right to discriminate or to make someone feel unsafe on campus because of their religion, and unfortunately the BDS movement is often linked to those kinds of frames," he added. “It doesn’t mean that you can’t criticize decisions by the State of Israel, that of course is a democratic country," he clarified.